Our second play, due for performance at the end of January 2019, will be…. This is a modern life-comedy about a ladies darts team in Hull and if this rings a bell for anyone that’s because it was produced at Hull Truck in the glory days of John Godber and Gareth Tudor-Price et al. We’re excited to be putting this on, not least because we think it’s a great play but also because it pushes a few boundaries for us. It contains adult themes and has some true to life language in it – not excessive – but if you prefer your entertainment to be totally expletive free then this might not be the one for you or youngsters. That said.. it would be a great shame to miss it. Double Top is by Ron Rose, a successful Doncaster based scriptwriter and playwright as well as having run a very successful theatre company in Doncaster for many years. His writing has included episodes for ‘Between the Lines’, ‘The Bill’ and ‘Heartbeat’ as well as the political serial ‘Love and Reason’. Double Top itself has an interesting history. Ron wrote his original version for a David Leland New Play season at the Crucible back in 1976 with a cast of 9 women and 3 men. That ratio of women to men at the time was pretty revolutionary but Leland had already committed to a play with the more usual male-heavy weighting. “Does tha remember that darts play?” he asked. That sounds like a challenge for us then, in fact, it’s an inspiration! Double Top rehearsals will commence in November, after our current play, and will be performed at the Elloughton Brough Village Hall on 24th, 25th, 26th January 2019. Subscribe to our email or Follow Us on Facebook to ensure you receive updates and announcements of ticket sales. You can read a little more about the play here. 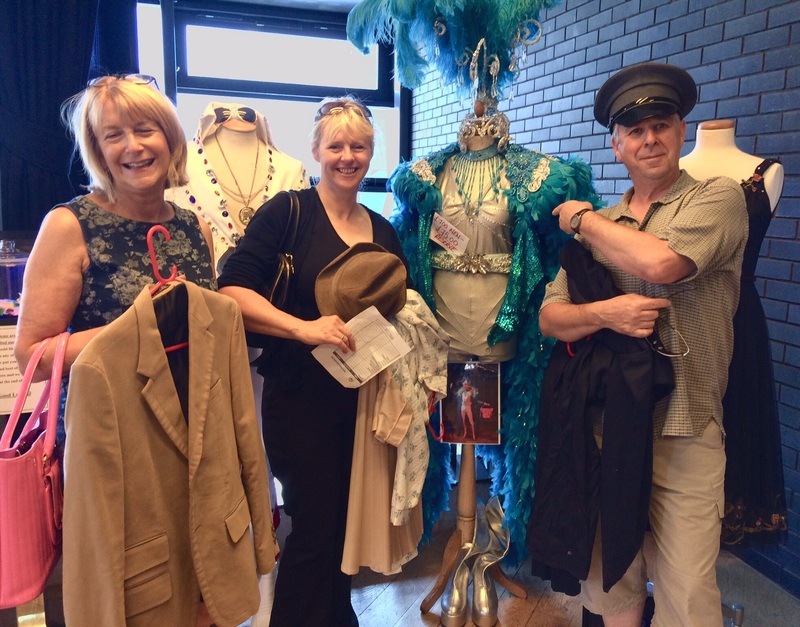 With Hull Truck Theatre having a massive clear-out of costumes and vintage clothing today, we just had to get there and have a look. Janet, Jayne and Steve managed to find a few items for the group and for our upcoming play. Also on sale was the very costume that Hull Truck loaned us for our production of Ladies Down Under. Steve, who (somehow) infamously wore it for that play declined to purchase it for posterity!